2 Bedroom Flat For Sale in Glasgow for Fixed Price £80,000. Situated within striking refurbished building, this well appointed second floor ground floor flat offers exceptional living space. The principal accommodation comprises security entry system, reception hallway, fantastic sized lounge, two well proportioned double bedrooms, good sized kitchen and bathroom with three piece suite. In addition the property has gas central heating and double glazing. Viewing is highly recommended to appreciate the level of accommodation on offer. 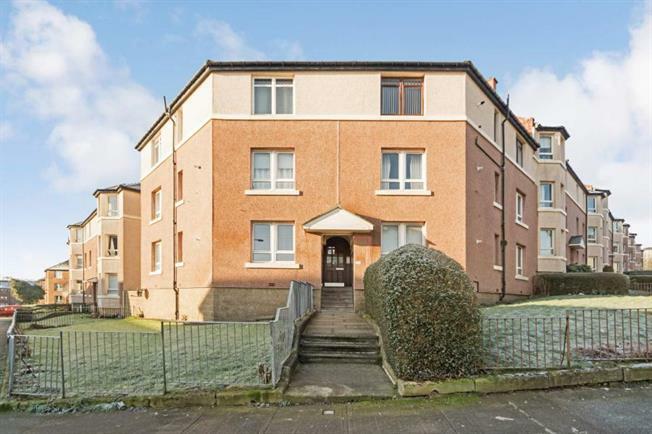 Raploch Avenue is located in the popular Scotstoun district and is within easy reach of a number of local amenities including Scotstoun Leisure Centre and Victoria Park. There is easy access to all public transport routes and road links to the Clyde Tunnel, Clydeside Expressway, City Centre and M8 Motorway Network.